What better way to spread happiness and love to our children this holiday season than through a positive, inspiring book. We have reviewed some spectacular children’s books on various topics from our happiness toolkit. Each of these books would make a great gift for your child. They are grouped by topic, and I have included a brief summary and link to the more in-depth review. Happy reading! 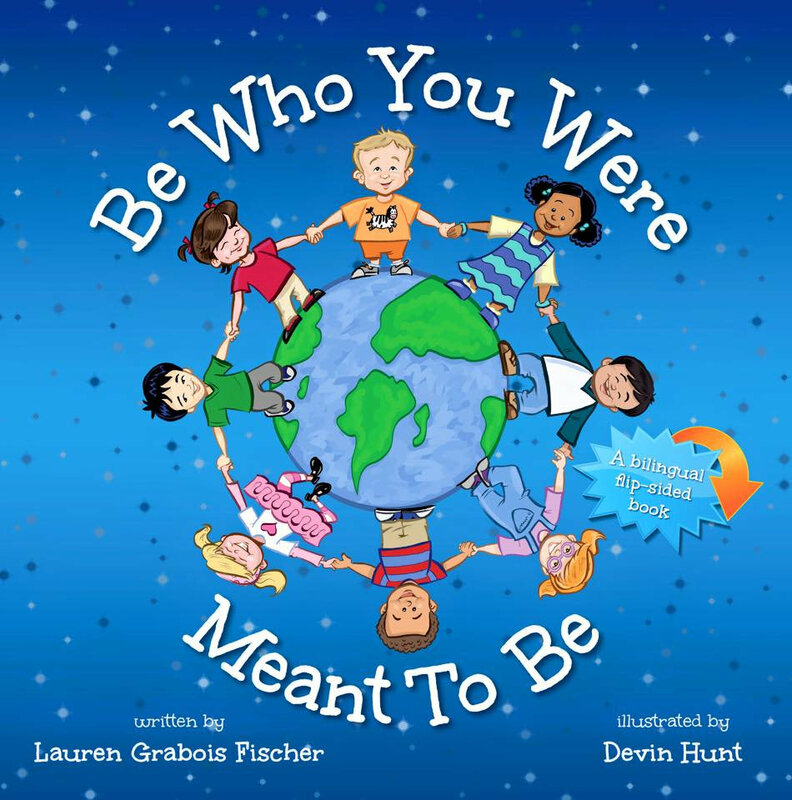 Be Who You Were Meant To Be by Lauren Grabois Fischer is a bilingual children’s board book that teaches its young readers to be proud of who they are and to always be true to themselves. It’s Alright To Be Scared by Benedict Coulter is an adorable and meaningful book for children of all ages that addresses fear and anxiety. It’s Alright To Look Different by Benedict Coulter is about accepting others no matter how different they seem. It is a great teaching tool about the impacts of bullying. The Little Book of Character Strengths by June Rousso cleverly presents character strengths as a beautiful poem with colorful images that both you and your children will enjoy reading together. We All Live On This Planet Together by June Rousso is a touching children’s book that will help teach your kids how to overcome their fears using many of the themes from the Happy Science Mom toolkit, including optimism, self-love, gratitude, and spending time in nature. The Busy Body Book: A Kid’s Guide to Fitness by Lizzy Rockwell is a fun, simple way to teach your children about health and fitness. She does an amazing job intertwining science lessons about how the body works with ways children can move and stay fit. Dream Big: Michael Jordan and the Pursuit of Excellence by Michael Jordan’s mother Deloris Jordan is a touching story about a young boy pursuing his dream of becoming an Olympic basketball player. The Thankful Book by Todd Parr provides a playful, yet meaningful, example to children about what they can be thankful for. Some of his thankful notes are silly, some are routine, and some touch your heart. My Grateful Book by Diana Smith beautiful children’s book that highlights a number of the little things in life that we can be thankful for, such as the food on our plate, rainbows, animals in the ocean, playing on the beach, learning at school, and our home. It’s Alright To Be Different by Benedict Coulter is an adorable and meaningful book for children of all ages that addresses being bullied for being different. Kindness Is Cooler, Mrs. Ruler by Margery Cuyler teaches children about the importance of kindness and the many ways to help others. My Welcome Book by Diana Smith is a cheerful book with messages filled with hope and love that will bring joy to you and your children. There Is Nothing Like Sharing by Benedict Coulter will show you what sharing has to do with raising happy, balanced kids. Wee Walk in Someone Else’s Shoes by Amy Geile and Kristen Littell is a story about young students who learn that they have the power to make a difference in the world. The Magical Rainbow by Deb Ogg is a whimsical story that teaches children important life lessons using color and the seven chakras, the energy centers typically found in yoga and meditation practice. Rachel’s Day in the Garden: A Kids Yoga Spring Colors Book (Kids Yoga Stories) by Giselle Shardlow is an adorable children’s book that teaches kids about both yoga and enjoying nature. Trish’s Fall Photography by Giselle Shardlow incorporates yoga, nature, and creativity (specifically photography) together in an enjoyable, interactive story. Great list! I’m def going to add a few of these on our next trip to the book store! I LOVE this book list. I’m going to try and get them over here in the UK. Thanks for the great list! Always looking for quality books to add to our collection. LOVE Todd Parr’s books! We recently bought “I Am Yoga” and love it. Great intro to yoga/mindfulness! This is a really fantastic list! I was trying to pick a favorite, but I can’t. Pinning these for later! Great list. We go on many bear hunts at our place. I’d recommend The Thankful Book too. It was a good first step to growing a gratitude practice in our family. I am going to have to check the others out.